It’s Open House…. But Out of the House! 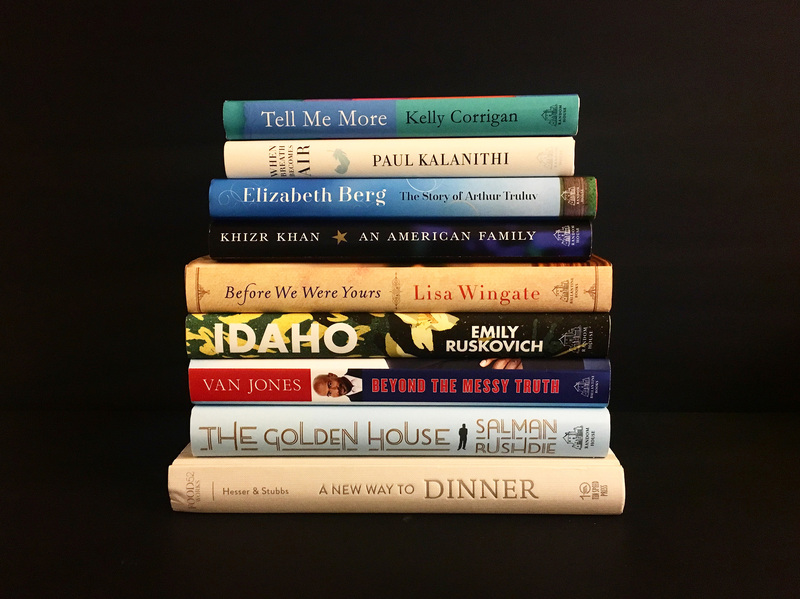 Random House Special Events Off the Page presents authors in thought-provoking conversation, exclusive access to the hottest books, tips for the holidays, and a chance to connect with other avid readers throughout a day of dynamic programming. Literary icon Salman Rushdie discusses his new novel, THE GOLDEN HOUSE; bestselling memoirist Kelly Corrigan (The Middle Place; Glitter & Glue) explores twelve phrases that can make us better people; CNN commentator Van Jones proposes ways to find your voice in today’s cluttered political climate; Food52 co-founders Amanda Hesser and Merrill Stubbs offer advice about staying balanced and managing your time during the holidays; Lucy Kalanithi, widow of author Paul Kalanithi, shares how readers have connected to her husband’s posthumous #1 bestseller WHEN BREATH BECOMES AIR; and Gold Star parent and captivating DNC speaker Khizr Khan explains what it means to him to be an American alongside stories from his forthcoming memoir, AN AMERICAN FAMILY. Plus, discover your next read (or three!) at our fiction lovers panel featuring novelists Elizabeth Berg, Emily Ruskovich, and Lisa Wingate. NEW TICKETING FOR THIS EVENT: For Off the Page, we are offering two ticket choices. All tickets include a gift bag filled with goodies—a retail value of $175—and reserved seating. Tickets go on sale Friday, September 8. Location: Off the Page will be held at the Tishman Auditorium, located near Union Square in Manhattan. The address for Tishman Auditorium is 63 5th Ave (between 13th and 14th street), New York, NY 10003. Parking Garage: Metropolitan Parking LLC. is located on the corner of 14th Street and 5th Avenue. iPark (Imperial) E 14 Garage on 14th Street and Union Square W.
How do I reserve my seat? Seat assignment is chosen at purchase of ticket. Doors open one hour prior to event start time. Where can I contact Random House with any questions? For questions or suggestions, please email pr@randomhouse.com. For information regarding a press pass, please contact Katie Darcy at Random House at 212-572-2694 or kdarcy@randomhouse.com. Do I have to bring my printed ticket to the event? Yes, Please bring your printed ticket with seat assignment to the event. Your name will be on the guest list. What is the refund policy? Refunds are issued up until one week before Off the Page. After that time, we are unable to offer you a refund. Is my ticket transferrable? Yes, your ticket is transferable up until one week prior to the event. Email pr@randomhouse.com to transfer your ticket. VAN JONES is a CNN political contributor and host of the recurring CNN primetime special “The Messy Truth with Van Jones”. A graduate of the University of Tennessee and Yale Law School, he was a special adviser to the Obama White House and is, as well, the author of two New York Times bestsellers. Jones founded the social justice accelerator the Dream Corps and has led numerous social and environmental justice enterprises, including the Ella Baker Center for Human Rights, Color of Change, and Green For All. He has earned many honors, including the World Economic Forum’s “Young Global Leader” designation and a Webby Special Achievement Award, and has been named one of the Rolling Stone’s 12 Leaders Who Get Things Done, Fast Company’s 12 Most Creative Minds on Earth, and Time’s 100 Most Influential People in the World. He lives with his wife and two children in the Los Angeles area. AMANDA HESSER is the co-founder of Food52 and was previously a writer and editor at the New York Times. She wrote the award-winning books Cooking for Mr. Latte and The Cook and the Gardener. Her most recent book, also co-authored with Merrill, a Times bestseller and the winner of a James Beard Award, is The Essential New York Times Cookbook. She lives in Brooklyn with her husband and twins. MERRILL STUBBS is the co-founder of Food52 and has written for many food and lifestyle publications, including the New York Times. She cut her teeth in the test kitchen at Cook’s Illustrated and behind the counter at Flour Bakery in Boston before she worked with Amanda Hesser on The Essential New York Times Cookbook. She lives in Brooklyn with her husband and two children. EMILY RUSKOVICH grew up in the mountains of northern Idaho. She graduated from the University of Montana and received an MA in English from the University of New Brunswick, Canada, and an MFA in creative writing from the University of Iowa. She was the 2011–2012 James C. McCreight Fiction Fellow at the University of Wisconsin-Madison. Her fiction has appeared in Zoetrope, One Story, and The Virginia Quarterly Review. She was a 2015 winner of the O. Henry Award for her story “Owl.” Ruskovich teaches creative writing at Boise State University. 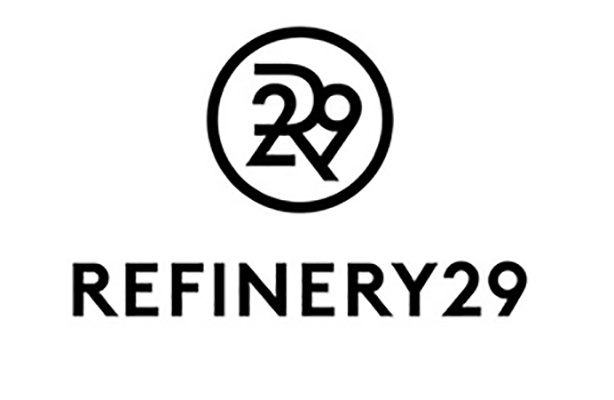 Elizabeth Kiefer (Moderator) is Refinery29’s Books and Senior Features writer. KELLY CORRIGAN is the author of the New York Times bestsellers Glitter and Glue, The Middle Place and Lift. She is a YouTube sensation whose channel, which kicked off with her beloved “Transcending” video, has been viewed by 6 million followers. Starting in January 2017, Kelly’s conversation series with writers and thinkers like Margaret Atwood, B.J. Novak and John Cleese will air twice a week in prime time on NPR’s Bay Area station, KQED. She is the host and founder of Notes & Words, an annual million-dollar benefit concert featuring writers and musicians at The Fox Theater in Oakland. Kelly lives outside San Francisco with her husband, Edward Lichty of Medium, and two teenage daughters. Angela Ledgerwood (Moderator) is the creator and host of Lit Up, a weekly conversation with some of the world’s most the most celebrated writers. Previously she was a features editor at Cosmo where she interviewed Senator Elizabeth Warren, Julia Louis-Dreyfus and Senator Kirsten Gillibrand. Her writing has appeared in Marie Claire, Esquire, Condé Nast Traveler. DR. LUCY KALANITHI, MD, FACP, is the widow of the late Dr. Paul Kalanithi, author of the #1 New York Times bestselling memoir When Breath Becomes Air, for which she wrote the epilogue. An internal medicine physician and faculty member at the Stanford School of Medicine in Palo Alto, CA, she completed her medical degree at Yale, where she was inducted into the Alpha Omega Alpha national medical honor society, her residency at the University of California-San Francisco, and a postdoctoral fellowship training in healthcare delivery innovation at Stanford’s Clinical Excellence Research Center. At the cross-section of her career as a medical professional and her personal experience standing alongside her husband during his life, diagnosis, treatment, and death, Dr. Kalanithi has special interests in healthcare value, meaning in medicine, patient-centered care and, end-of-life care. She lives in the San Francisco Bay Area with her daughter, Elizabeth Acadia. KHIZR KHAN was born in 1950, the eldest of ten children, to poultry farming parents in Gujranwala, a city in rural Pakistan. He moved to the United States with his wife Ghazala in 1980. The couple became American citizens in 1986, and raised their three sons in Silver Lake, Maryland. His middle son, Captain Humayun Khan, was killed in 2004 in a suicide attack near Baqubah, Iraq, and was posthumously awarded a Purple Heart and Bronze Star. Khizr works as a legal consultant, and is involved with the University of Virginia’s ROTC program.